Do you ever wish you could travel back in time to a prehistoric age and have a dinosaur as a pet pet? Sorry, bud, but we got some sore news for ya: Ya CAN’T! Even if time travel were possible, chances are, no dinosaurs would be cool with being treated like you own them. They were all about roaming free and killing each other and eating all the plants and bringing about their own extinction! They didn’t want to answer to a master! But you know who does love hanging around you and being your pet? That’s right, that adorable dog right there! So fulfill your dinosaur pet dreams by doing the next best thing to unrealistic and potentially dangerous-to-us-all time travel: Get this Triceratops Dog Costume, and turn that pup into your favorite dino! 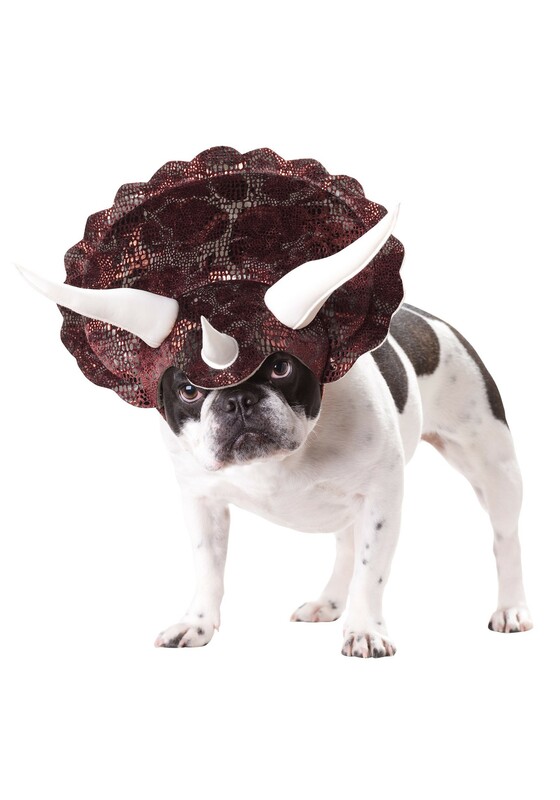 With a costume this cute, your puppy will be ready for a prehistoric rampage through the backyard!